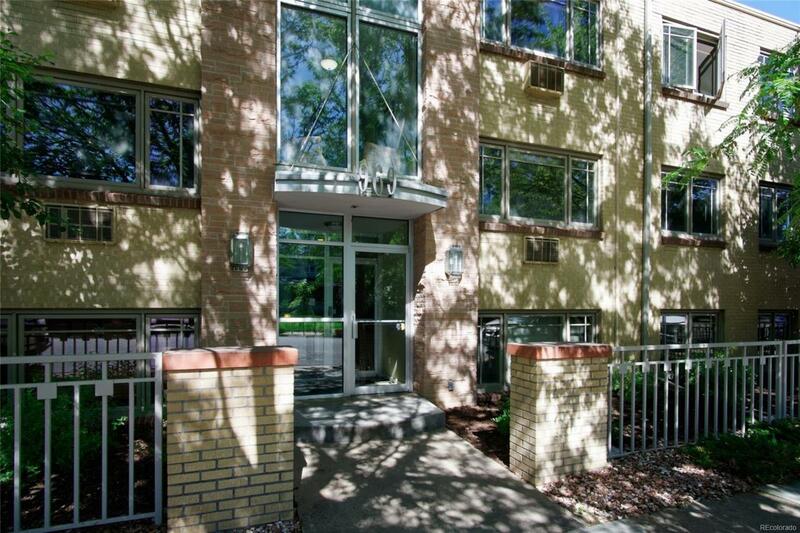 Beautifully updated condo unit in the heart of West Washington Park. This unit has recently been updated with new carpet and paint throughout. There are plantation shutters on all windows and brand new kitchen appliances. Kitchen has granite counter tops, maple cabinets and under cabinet lighting. Large, bright living room with big windows. Bedrooms with 2 closets each, new paint and new carpet. The unit has a huge laundry room that offers ample additional storage space. Washer and dryer are included. Parking space #17 is deeded to this unit. Unit is within walking distance of Light Rail, provides easy access to I-25 and is a 5 block walk to Washington Park. Building has a secured entry.